By making media we learn about self-exploration and identity. Media making is a tool for critical thinking and community engagement. Because mainstream media generally excludes the voices of young people we make our own radio pieces, newsletter and music to ensure that our stories are told and our voices are heard. All members of the Philadelphia Student Union are encouraged to participate in our media programs. We believe that media is an important organizing tool. 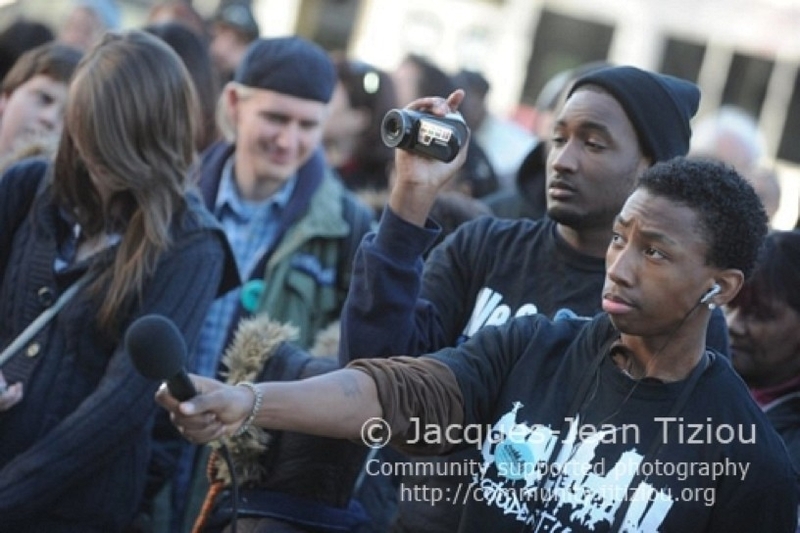 We use our media to represent youth in a positive and realistic way, build consciousness and power, and offer analysis of events and issues from a student’s perspective. On Blast is our monthly podcast and an organizing tool for the Philadelphia Student Union. We know that young people’s voices need to be heard for real structural change to take place in our public schools. At On Blast, we choose subject matter that amplifies the voices of those not being heard– especially young people– and those who are routinely hurt and misrepresented by the dominant media. Go here to listen to our radio program! The Union Rep is the bi-annual student-written newsletter of the Philadelphia Student Union. Students write about issues in their schools, recent PSU actions, and our experiences as students in Philadelphia. Go here to read our current newsletter, as well as archived issues. From 2008-2011 a core group of Philadelphia Student Union members dedicated their time to making Movement Music. Our music contains perspectives on our personal stories that also relate to other students in our communities. Click here to listen to our music and watch videos too.